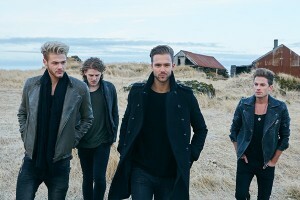 Recorded at the world renowned Blackbird Studios in Nashville, the album sees Lawson – Andy Brown (lead vocals/ guitars), Ryan Fletcher (bass), Joel Peat (guitar), and Adam Pitts (drums) – maturing as artists and coming of age as a band. Lawson are very proud of the new album and keen to start sharing some of the new songs with their fans. Once recording was completed and the band was out of the studio their burning desire was to get back on the Road to re-connect with their fans and play the new songs live. To facilitate this the set up of the new project has been timed to allow the band to take the live show to international markets as well as playing to their UK fans. They have played live dates and major festivals in the UK over the summer and they toured the US throughout July. There are now plans for the band to extend their tour further afield in dates to be announced soon. And finally, to close 2015 the band will embark on their UK Winter Tour. The new album will be scheduled for release in 2016.